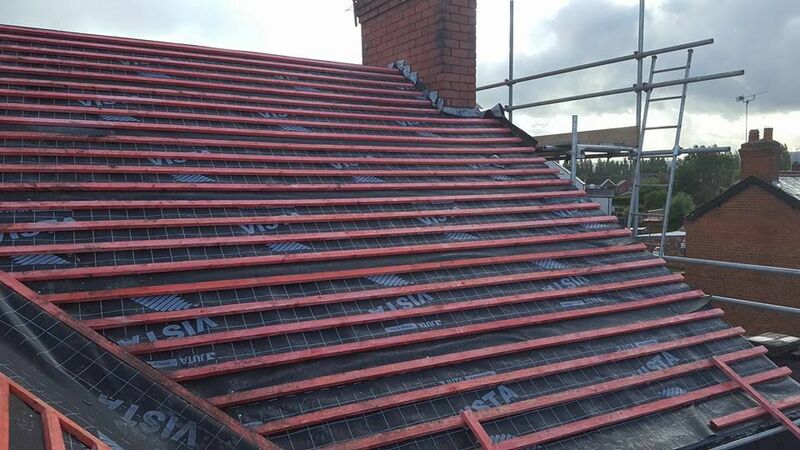 Depend on L Nuttall Roofing for roof replacement services in Wrexham, Clwyd, and the surrounding areas. Our cost-effective re-roofing services are carried out to the highest quality by our experienced roofers, who safely remove your old roof and then install the new one for you. From the initial consultation onwards, we aim to keep our customers in the loop. Once you accept our free quotation and you’re happy for us to proceed, we’ll book you in as soon as possible. There’s not much we haven’t seen in our 20 years of experience in the industry, so we are always happy to provide advice. The benefits of coming to us are all of our re-roofing services come with a guarantee. Our small professional team boasts a wealth of experience and provides a personalised service that can’t be matched by larger roofing companies. Contact our re-roofing specialists now for a quote on roof replacement in Wrexham, Clwyd, and all surrounding areas.